Non-surgical facial rejuvenation treatments are the most popular form of cosmetic enhancement in the nation. Offering a number of benefits, including minimal downtime and the potential for rapid or immediate results, cosmetic injectables can help to correct an array of common signs of aging and provide a firmer, more youthful appearance. At Lifestyle Solutions MedSpa, we have been performing BOTOX® Cosmetic and dermal filler injections for over 10 years, and we are leaders in the cosmetic injectables industry. Our experienced physicians will take into account your unique anatomical structure and expressed goals when developing a customized treatment plan to help deliver natural-looking, beautiful results on a consistent basis. If you’re considering non-surgical facial rejuvenation, we can determine if BOTOX® injections can help you achieve your desired outcome. For more detailed information about cosmetic injectables here at Lifestyle Solutions MedSpa, please follow the links below. If you have additional questions, or if you wish to schedule an appointment, please contact us today. Comprised of a purified protein produced by the bacterium Clostridinum botulinum, BOTOX® Cosmetic is an injectable treatment designed to reduce muscle contraction in areas of the face. 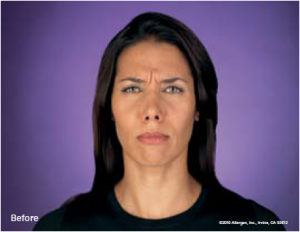 When you make an expression, such as frowning or smiling, the muscle contractions used can cause wrinkles, frown lines, and brow furrows to occur over time. In 2013, FDA-approved BOTOX® injections were one of the most popular minimally-invasive aesthetic treatments performed in the United States, with nearly six million procedures performed. BOTOX® injections are often used to diminish signs of mild to moderate wrinkles that develop in the upper face, including the forehead, between the eyebrows, and around the eyes (crow’s feet). 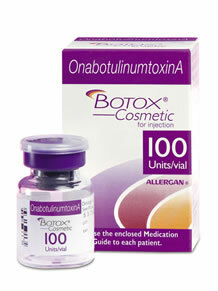 Our highly experienced physicians perform all BOTOX® injections. Non-surgical BOTOX® Cosmetic treatments are typically simple and quick, with many procedures completed in as little as 10 minutes. A few small injections will be applied to the areas of concern, after which you should see a dramatic improvement in the appearance of even deep forehead creases. Effects, though not immediate, will become visible in a matter of weeks and may last anywhere between four to six months, although individual results may vary. There is typically no downtime after receiving BOTOX® injections, and you may even choose to have treatment performed during your lunch break. One of our highly qualified physicians will apply BOTOX® Cosmetic through tiny injections into the muscles responsible for wrinkle creation along the forehead and between the brows. As the size, location, and use of muscles is unique to each individual, your physician will develop a treatment plan tailored to your anatomic needs and expressed goals. He or she will also perform a physical examination of the active muscles. BOTOX® injections do not require any anesthesia, although cold compresses or numbing topical creams may be applied to enhance comfort during treatment. Most people feel little discomfort and return to work the same day. Results should begin to show in a few weeks with full improvement visible within a month. Men increasingly desire to restore a more youthful appearance utilizing cosmetic enhancement, and BOTOX® Cosmetic can be no less effective for men than it is for women. In fact, this treatment can help men address an array of aesthetic concerns. Men who take care to dress well, work out, and maintain excellent hygiene are often seen as ambitious and successful. How a man presents himself can have lasting implications both socially and professionally. 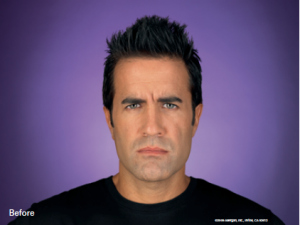 When forehead lines and deep brow furrows develop, they can sometimes create an angry, tired, or stressed appearance, something many men wish to avoid. To help combat these concerns, men often choose to receive minimally-invasive BOTOX® injections from a qualified physician. 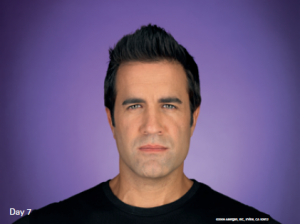 With BOTOX® cosmetic treatment, men can achieve smoother skin and a more rested, youthful appearance. BOTOX® treatments are not designed solely for cosmetic purposes. When applied to the underarm, this treatment can be highly effective at reducing or eliminating hyperhidrosis, the condition of excessive sweating. The physician will outline the locations of the sweat glands for each underarm and administer BOTOX® injections in targeted areas. Results typically last up to six months. Many factors go into the price of BOTOX® Cosmetic, including the number of injections needed, the number of areas treated, the expertise of the injector, and other considerations. The national average cost for BOTOX® injections is around $300, although this is not necessarily representative of our prices. During your initial consultation, we will discuss the fees associated with your customized treatment plan so you can be well-informed and able to make the best decision for your needs, budget, and goals. If you are interested in hearing about medical financing options, we work with CareCredit™ to make aesthetic enhancement affordable for a wide range of patients. BOTOX® injections offer temporary facial rejuvenation in the treated area, which is one of the many benefits patients like about the treatment. 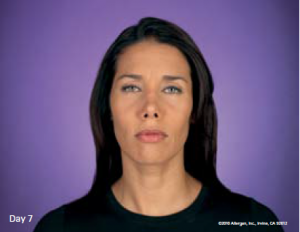 For many patients, BOTOX® Cosmetic can last between three and six months. Regular maintenance injections can help extend the benefits, and long-term use may help reduce the formation of wrinkles in the first place, offering longer-lasting effects in the future for some individuals. BOTOX® Cosmetic for other uses, such as hyperhidrosis (excess sweating), may last longer, although your results may vary. Why Choose LIfestyle Solutions Med Spa for Your BOTOX® Cosmetic Treatment? We pride ourselves on ordering product exclusively from Allergan, the only FDA-approved supplier of BOTOX® Cosmetic in the USA. This is a guarantee that we are getting legitimate product that has been thoroughly tested and kept in appropriate climate-controlled conditions throughout the manufacturing and shipping process. Over the past few years, there has been an overwhelming increase of “non-FDA” approved/illegal BOTOX® Cosmetic and other injectables coming into this country at a cheaper price. Many physician offices have been purchasing this product, in many instances unknowingly so, which is why they are able to offer it to their patients at greatly reduced pricing. There is no control or regulation over this fraudulent product and therefore no way that a provider can with confidence assure a patient that what they are injecting into their face is effective and, most importantly, safe. If a price seems too good to be true, it probably is. We accept members of the Brilliant Distinctions® program by Allergan, the maker of popular cosmetic injectables like BOTOX® Cosmetic. This exclusive program can provide significant savings on the rejuvenating treatments you love most, helping to reduce costs while allowing you to maintain your results with regular “touch-ups.” Every time you are treated with BOTOX® Cosmetic or another Allergan product, such as JUVÉDERM®, you earn points. These points can be redeemed for savings on future products and procedures. If you are not yet a member and are interested in joining, we can assist you in enrolling. Please reach out to our team to learn more. At the end of the day, it is your face and we put a very high value on that. That is why we take care to order our BOTOX® Cosmetic directly from Allergan, and you can rest assured we will make every effort to ensure the products and services we provide are high quality and as described.